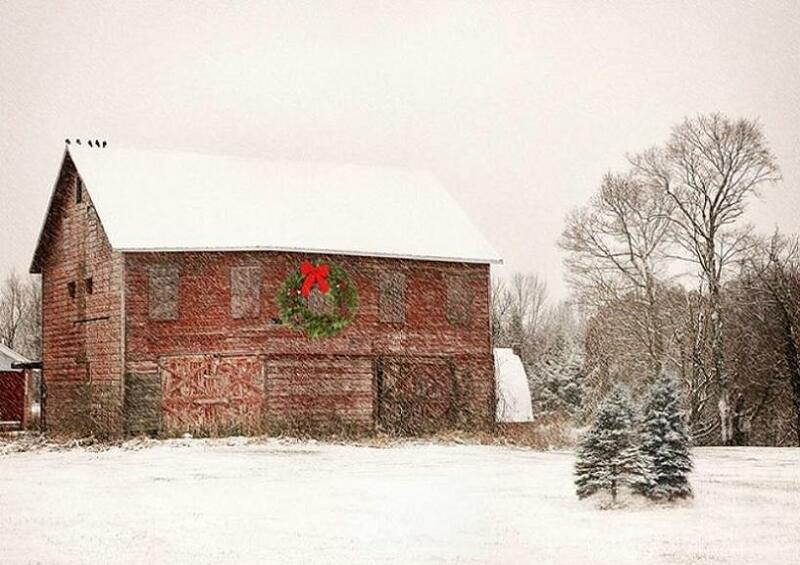 Join us for a memorable holiday experience in our 1849 rustic barn, complete with live sheep. Our Storyteller brings Luke's gospel story alive before your eyes. Mary and Joseph will trudge through the door when the story is read about "no room in the inn." Baby Jesus will be laid in a real manger, and shepherds and Three Sages will appear. Listen carefully for the Little Drummer Boy to come from afar! Raise your voice as we sing familiar Christmas carols in the soft candlelight, while your hands are warmed by holding a mason jar of hot cider. Homebaked cookies keep your tummy happy. Christmas in the Barn is dana*, but you need a ticket, so you are assured of seating on one of our cloth-draped straw bales. There is a row of chairs for our friends who need them. Dress warmly! The only heat in the barn is whatever is created by the animals and humans. Parking is limited by the amount of snow; please plan to carpool. Email revdarlabair@gmail.com for tickets. Please specify the date and time you are requesting. *Dana is a Sanskrit word meaning generosity. At Calm in the Chaos Interfaith Center, some of our events carry a fee, but many of our events and programs are *dana. It simply means that, if you are moved to do so, and in a financial position to do so, please toss a donation into the basket. If you are not in a position to do so, please know that love really is our bottom line, and no monetary payment is expected.